It is a common fallacy for businesses to believe that market growth and their profits are interrelated. However, it does not hold true in cases where the company has made some fundamental errors in operations and in marketing. In such situations, the competition will outpace the business in the blink of an eye and it will become difficult if not impossible if there is no radical shift in how the business operates. If you want more customers, you need to create a high-quality website with exceptional content. This is more important than anything else you do online. You can hire a web development company to create a beautiful website for you. Optimise your website or hire a good SEO company to make your website suitable for your customers as well as search engines. Just make sure that it reflects well on your business and creates a great impression. Everyone who has an internet connection has one or more social media accounts. In fact, studies show that people are spending quite a few hours per day on different social media platforms with Facebook, LinkedIn, Twitter, Pinterest, Instagram, etc. leading the pack. If you do not have an active presence on these platforms, you are losing out on reaching your potential customers. Not only does social media give you an opportunity to share information about your products, services, etc. with your customers but also helps your customers ask you questions, get information about things important to them, etc. Choose a couple of social media platforms that work for your business the best and set up your business profile to connect with your potential customers. 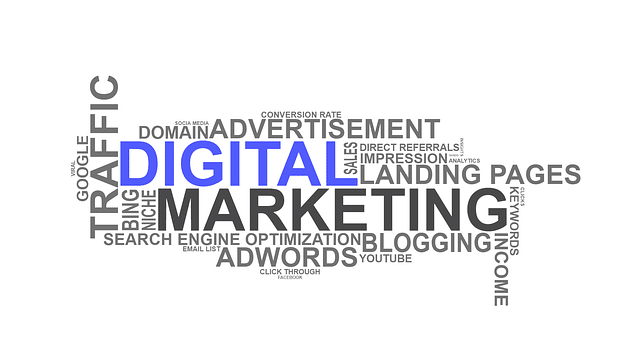 You can also hire a digital marketing agency to handle your social media accounts. If you truly want to make your mark in a competitive environment, you cannot afford to stay in your comfort zone. You need to be innovative and continuously try to do things in new ways. You need to adopt a future-oriented approach in running your business so that you can stay ahead of the curve and keep enthralling your customers. As a business consultancy, we urge our customers to build repeatable processes and automate things to the extent possible. For example, if a customer sends a feedback mail, then there has to a certain process, if a supplier reports shortage of a certain product, there have to be certain other processes, etc. Automating as many processes as possible take away the possibility of errors from human intervention or rather non-intervention. Everyone in the team or the organisation know the steps to follow and what needs to be done when. This helps build a more streamlined operational structure and helps a business innovate better, respond more quickly and grow faster. If you lag behind, other businesses will take your place in the market. By using the power of social media, emails, direct calls, discount schemes or loyalty programmes, you can keep in touch with your customers and regularly get their feedback. This will help improve your products/services. This will also make your customers appreciate that you care about them and their needs while and will help you increase your revenue and profit. It is high time that businesses stop expecting to make profits just because of a growth in the sector and get actively involved with their customers. The need of the hour is the implementation of never-ending improvement and innovation processes so that a business can keep up with the times and stay two steps ahead of the competition.